What We Talked About: What if making money was part of your spiritual practice? It sounds crazy, I know, but Indigo makes a great case for making an intentional decision to play the “money game” as she calls it. 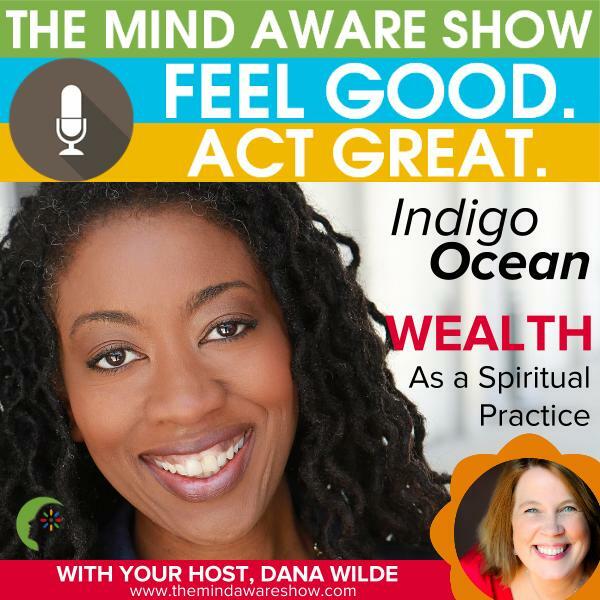 During this interview she reveals the two step process for incorporating your spiritual beliefs into your money making beliefs and acting from our whole embodied selves. Why I Like Indigo: She’s fun, she’s smart, and she is enjoying this game called “life.” She speaks her truth clearly and is willing to explore the outer edges. Who says money and spirit have to be separate? Not Indigo and I really think you’ll like her as much as I did. Great Line: Treat making money like you treat breathing – breathe deeply, take it in freely, and it makes you feel alive. Where to Learn More: Go to http://www.danawilde.com/indigo in the month of December, 2015 and Indigo will give you a free 45-minute personal one-on-on consultation.